I seriously cannot believe it’s February already. I hope 2018 finds you all well. It’s been a mixed bag for me so far, but I’m hoping for good things in the next few months. Anyway, I’ve got a few announcements and some goodies for you in this newsletter. First, My Hellion, My Heart, my regency historical romance is on sale for only 99 cents for a limited time! This book was so much fun to write. If you’re a fan of steamy regency romance, check it out. Can’t beat the price (and I will love you forever). Second, the final book in the Lords of Essex historical romance series, My Scot, My Surrender, just came out on January 29th and is now available at your favorite retailers. I was so sad to wrap up the last book in the series, but the good news is that there will be a spin off series (SWEET HOME HIGHLANDER drops in May). Hot Scots for the win! Next, my latest young adult novel, Dark Goddess, the sequel to my #ownvoices Ramayana YA re-imagining, Alpha Goddess, comes out February 13th (next week Tuesday)! I am so thrilled for this book, which is based on Hindu mythology, and in particular, the goddess Kali. I loved writing about her. And last but not least, you can enter my publisher Entangled’s awesome giveaway to win a fabulous Highlander-themed gift basket! I’m also hosting a personal giveaway just for you, my wonderful newsletter subscribers, to win any two books of your choice from the Book Depository (up to $20) just to spread a little love and to say thanks if you do buy (or have already bought) a copy of My Hellion, My Heart. for only 99 cents for a limited time! Steamy, sassy, and so much FUN! My Hellion, My Heart kept me guessing and swooning until the last page—I never wanted it to end. This is Regency Romance at its best, my friends. ~ Rachel Harris, New York Times and USA Today bestselling author of The Nanny Arrangement. Intent on scandalizing London, Princess Irina Volkonsky is a hellion and every gentleman’s deepest desire…except for one. Irina knows better than to provoke the wickedly forbidding earl, but she will stop at nothing short of ruination to win the heart of the only man she’s ever loved. But when one scandalous kiss makes dangerous passions ignite, neither of them can fight their sizzling attraction. When a sinister plot emerges to threaten them both, they will have to fight one last battle, this time for the ultimate prize…love. in the Lords of Essex series, is now available! Lady Sorcha Maclaren, the fiery and scarred daughter of Laird Maclaren, the Duke of Dunrannoch, is desperate to avoid marriage to a loathsome marquess at any cost…even if it means risking a kiss with a handsome stranger at a Scottish border festival. But after an innocent kiss turns into a scandalously public embrace, Sorcha and Brandt get more than they bargained for—a swift trip to the altar. When danger chases them into the Highlands, and deceit threatens to tear them apart, their only hope will be to surrender…to each other. 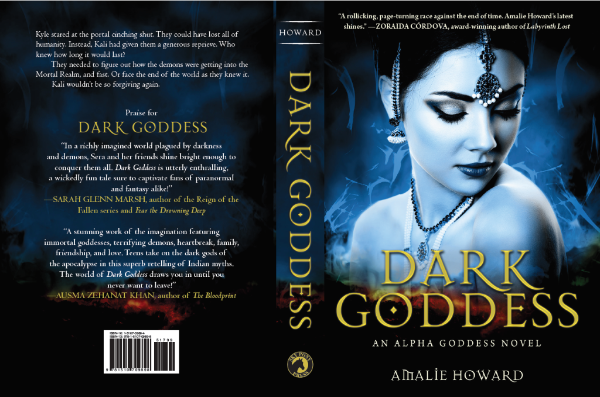 Dark Goddess, the YA sequel to Alpha Goddess, my #ownvoices spin on the Ramayana, available for pre-order, out 2/13! Thanks so much for hanging out with me today and reading my newsletter! Good luck if you enter the giveaways. 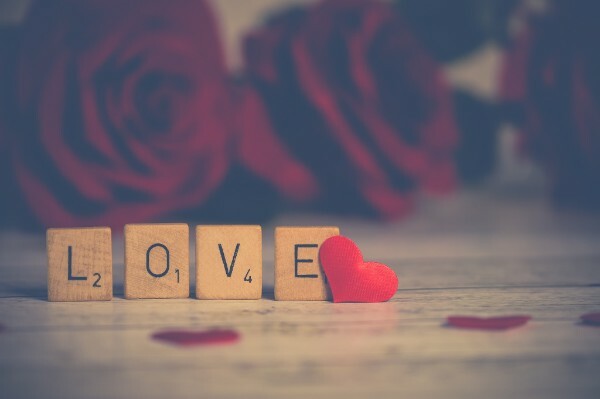 If you want to connect on social media, hit me up on the links below, and you can also check out my event schedule to see if I’ll be visiting a town near you. I would love to see you! Happy reading! Copyright © 2018 RAH Media LLC, All rights reserved.You’re receiving this newsletter because you either signed up online or in person for a giveaway/contest I’ve hosted or been a part of. If you think you’ve received this in error, please feel free to unsubscribe. No hard feelings, though I’ll be sad to see you go.